As CFOs and their teams take on more strategic responsibilities, their broader scope continues to present a challenge of getting more work done with the same number of limited resources. The result, according to a recent survey: Working weekends to keep up. Nearly two-thirds of the CFOs and other senior nance executives who responded to the XCM – CFO Research Finance Productivity and Business Process Management survey reported more than 10 percent of their nance team members worked weekends to keep pace with their workload. Working weekends may be an indication of unaddressed business process work ow issues confronting nance executives. 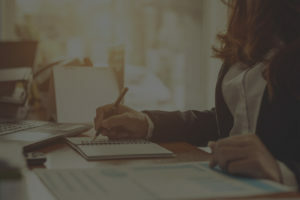 Companies expect CFOs and their nance teams to take a more strategic look at the business while keeping up with increased regulatory and compliance demands, risk management, day-to-day tactical issues, and recurring reporting requirements. With the right business process management solution—also known as work ow automation technology— nance executives can create additional work capacity, providing nance teams with more time to spend in their growing strategic role. Business process solutions can give senior nance executives 360° visibility to tasks and project status, helping them empower the team to better manage their overall workload and respond to changing priorities in the business. This visibility also provides business leaders a greater ability to plan and allocate resources for those processes. Putting the right people to work on the right projects at the right time means work processes ow more efciently, more accurately, and on deadline.